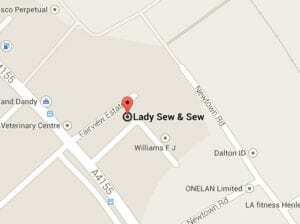 James McIntosch is packing his needles, and yarn and is going to spend the day with us at Lady Sew and Sew, Henley. Over a cuppa and some cake from Knit and Nibble, James will be talking about the story behind Knit and Nibble and how one stitch at a time helped him to knit himself back together after depression. It’s a story of love, adversity, stitches, self discovery and what life is like when faced with an illness. It won’t be a doom and gloom chat … he promises a time of laughter, anecdotes, the reality of depression and how he came through the other side, one stitch at a time. They say laughter is the best medicine, combine that with knitting and honesty about one’s feelings and we have a great potion for regaining self-worth to overcome depression.